I would like to thank DECOR Kitchens and Interiors for featuring our new star Aquila Hand-printed Wallpaper in their February/ March 2017 issue. It’s lovely to see that Irish interiors appreciates a little bit of contemporary too, this just makes me all warm inside! 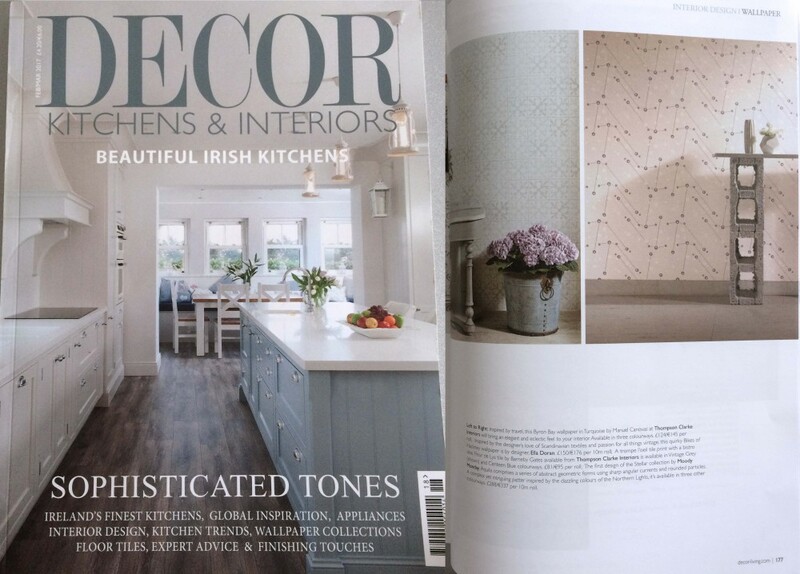 Press – DECOR Kitchens and Interiors, Ireland, Feb-Mar 2017 – Featuring Aquila hand-printed wallpaper from our most recent studio collection in contemporary design. It is the highlight to my day. Also, not forgetting to mention that Camerons in Ballymena kindly made such an effort to post this magazine over to the studio, due to not being able to find this magazine stocked anywhere in Edinburgh. I have excitedly received this in the studio today – I can’t find a website for them, so the hyperlink leads to their Facebook page instead. Thank you so much!